This August, Black Dog Ballroom are getting into the spirit of the Summer season with a classic Chairmans Reserve rum tasting session. Membership is paid for with just 2 events, rum tasting and cinema. Its a no brainer! This August, Black Dog Ballroom are getting into the spirit of the Summer season with a classic Chairman’s Reserve rum tasting session. Take your tastebuds to the next level as we rum it up in this great tasting session. Join us to sample some specially prepared canapés and rum-based cocktails in the private members’ Ballroom. Learn all about the origins and science behind this St Lucia based tipple, worthy winner of a Gold Medal and ‘Best in Class’ award at the International Wine and Spirit Competition 2008. 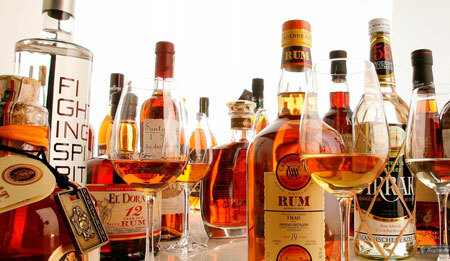 If you love rum, you will love this.